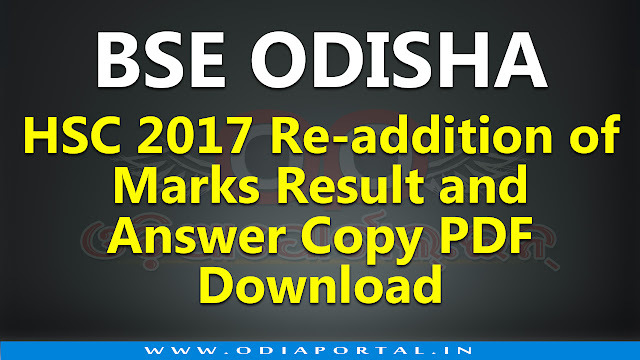 Board of Secondary education of Odisha has published Re-addition result and scanned copy of answer books for HSC Examination 2017 candidates who were applied for rechecking and re-addition of marks back in after the Matric Examination 2017. 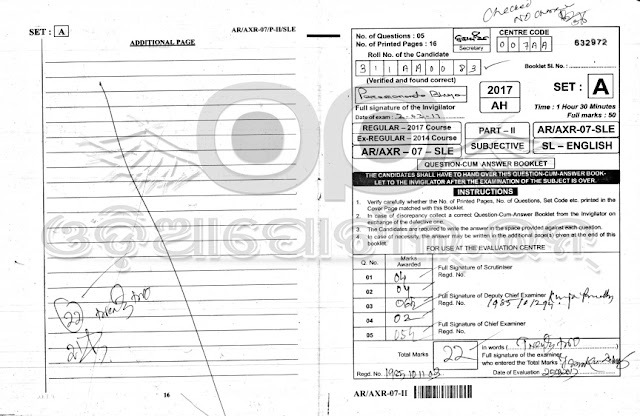 Candidates who were applied for rechecking and re-addition of marks for the exam HSC Matric 2017, they can now check and download their scanned copy of answer paper along with they can check status of re-addition of marks. 1. Click below button to enter in the site. 2. Log in with your HSC Matric Exam 2017 Roll Number. 3. Click on PDF Download button which subject paper u want to download. 4. Now download and print your scanned answer paper. Done!